Today I spend a lot of time to appending custom descriptions to my pdf files. You can not image how boring it is! I search for the method on the internet for many times. Finally I give up and turn to our computer engineer. He recommends the Advanced PDF Tools to me. Finally I can not believe that it just take me two minutes to fix it. Furthermore, the operation is simple and quick. So maybe some people have doubts about why we need to append custom descriptions to pdf files. This is a good question. You see, sometimes you pdf file information is not completed and need to supplement. But this difficult is that your pdf files have limitation. 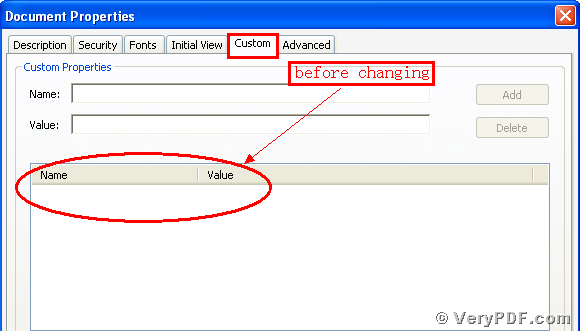 In this situation, you can use this software to append custom description to pdf files. In order to let more people who have the same problem know how to solve this problem. Here I put my this article here, hope it can improve your office work efficiency and save your energy. Second, install this software procedure in your computer, and remember to register user, if not, it is just a trial version. Some functions will be disabled. The process of registration is very simple , when you buy this software, it enclosed a string of codes, you just need to input the codes in it. Make sure you had successfully finished the installation. It will appear an icon in your desktop if you store it in this location. Please look this picture. Third, double click the icon of the Advanced PDF Tools, and let this software run. Then drag the PDF file(MindManager_Viewer_Guide.pdf ) into this program. And click the label page “Custom fields” . For example, I will input “append description” as Key and input “verypdf.com” as Value, then you need to click the button “Add”. Then we save the change. Please look at picture 1. 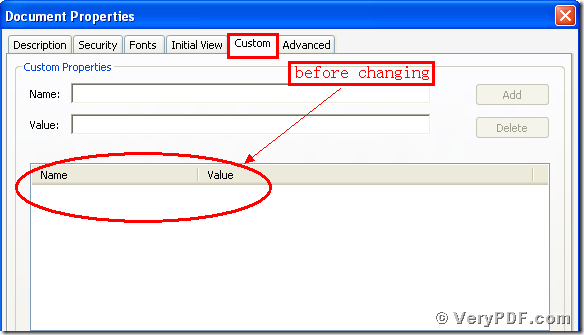 Fourth, You need to find the changed pdf file (2.23) , and separately click the properties of the before changing file and the after changing file. When we compare them ,we will realized that we had appended custom descriptions to pdf files. Here I give you two screenshots, hope you can find the effect of this software. Please look at picture 2 and picture 3. At last, you will obviously find that we had appended custom descriptions to pdf files. It is very easy for you to operate it. So if you want to know more about the Advanced PDF Tools, please just view this website: http://www.verypdf.com. Thanks for your reading. This entry was posted in Advanced PDF Tools and tagged Advanced PDF Tools, append custom descriptions. Bookmark the permalink.